If you’re looking for an efficient heating pad to keep your newly hatched chicks warm, look no further than the Thermo-Peep Heated Pad from K&H Manufacturing. 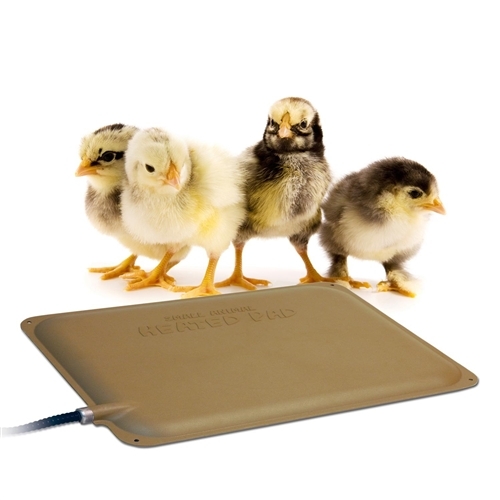 This 9” by 12” heated pad is the ideal size for chicks of all ages and is especially necessary during the early stages life. Outdoor heating pads for animals are also essential when old man winter arrives! Featuring dual internal thermostats that are pre-set to the perfect temperature, this outdoor heating pad ensures that your chicks don’t get chilled and is a go-to tool for supporting a healthy start. The thermostats keep the surface of the pad at about 10-15°F above ambient air temperature when your chick is not on the bed and at about 102°F when your chick lies on the pad. Using only 25 watts of power, the Thermo-Peep Heated Pad eliminates any chance of overheating or potential fire threats. It is the most efficient heat source on the market for your peeps. The safety and well-being of your peeps is of the utmost importance and this product makes certain of that by possessing a capped cord entrance, and the first 18” of the power cord is capped by steel to do away with any safety hazards. There are holes in all four corners of the pad allowing for screws to anchor the pad down onto wood surfaces and for easy wiring when placing in more traditional chicken coops. This versatile product can be placed virtually anywhere and has been certified by MET labs to adhere to strict electrical safety standards. It is designed for 24/7 operation though it is recommended it be unplugged if you leave your home for an extended period of time. For newborn chicks or chickens of all ages during winter months, this heated pad from K&H Manufacturing is the perfect heat source to keep your chickens warm and in good health. For even more tools to care for your chicks and chickens, be sure to check out our wide variety of poultry supplies at Paris Farmers Union! There are many benefits that come from raising your own chickens for eggs, including but not limited to: long-term savings from buying eggs, eggs produced by backyard chickens are fresher and tend to taste better, and there is evidence that backyard eggs are actually more nutritious. Follow these 5 simple steps and you’ll be raising backyard chickens in no time! Know the law – Before you get started, it is very important to check with your local authorities and/or homeowners association rules. Roosters are banned in many places, which actually isn’t a huge deal as hens will still lay eggs without them. In some areas, signed agreements are required from neighbors, permits need to be obtained, and sometimes an appearance before the zoning board is necessary. There are also communities where ordinances have been implemented that restrict the size and placement of outbuildings. Choose your breed – Keeping chickens gives you the opportunity to raise any kind of chicken you choose, and there are a variety of breeds to choose from. Most breeds come in 2 sizes, standard (large breed) and bantam, which is typically a quarter of the size of standard breeds. 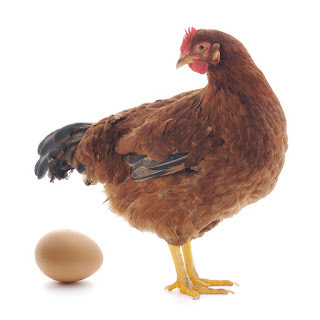 Standard breeds tend to lay larger eggs and are typically less flighty since they weigh more. Lightweight breeds are the best for dependable egg production, but depending on what you’re looking for, there are also dual-purpose breeds (used for eggs and meat), and broilers (used primarily for meat). To view the breeds available to order from Paris Farmers Union, download our 2018 Chick Order Form. Build (or buy) a chicken coop – The chicken coop’s main purpose is to shelter the chickens, but considering it will be in your yard, aesthetics could be an important consideration as well. When building a coop or deciding which one to buy, you need to make sure that the run is covered and that the fencing is buried about a foot deep. In both urban and suburban areas, many predators ranging from raccoons to coyotes run rampant, so be sure to use poultry netting around your chicken enclosure to protect your flock, or a sturdy hardware cloth to prevent smaller rodents from slipping through the cracks. Paris Farmers Union offers a variety of pre-built chicken coops for sale to meet the different needs of your backyard flock. Care and feeding – To keep your chickens happy and healthy for ultimate egg production, it is important you stock up on chicken feed that is high in protein. 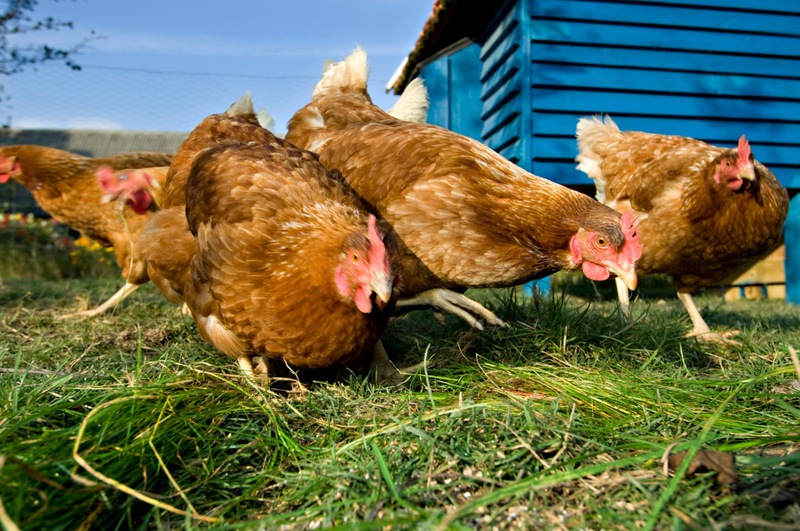 Chickens will normally dig up most of their diet (worms, snails, seeds, etc. 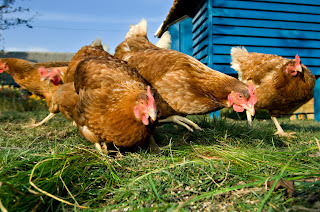 ), but the high levels of protein in their chicken feed is extremely important. Also, make sure you are providing ample water to your chickens, because if they go without water for extended periods of time, they can go out of production for weeks at a time. Paris Farmers Union carries a large selection of poultry feeds for all life stages of your flock from Blue Seal, Nutrena, and Purina Feeds. After hatch – If you are looking to hatch some of the eggs your chickens lay in order to have some more around, it is important to take special care of the chicks shortly after they hatch. Heat is one of the most important components, especially in the first few days after they hatch. After a few days, it is time to move them to their brooder, which is the place they will stay until they begin to grow and develop feathers. Household items such as empty crates, empty toy boxes or empty shelves tend to work very well. Do you have any tips/tricks for raising chickens for eggs that worked well for you? Feel free to share with us in the comments! And be sure to check out Paris Farmers Union for everything you need to raise chickens from coops to feed and so much more.